Happy Choclate Day to all my readers and blogger friends in all over the world including India. On this day we discuss about advantages and disadvantages of chocolates. Chocolates – It is very popular sweet among in kids, children, and youngsters and also adult. Chocolates are especially popular in kids and children. Chocolates are present in ice cream, cake, pastry, pudding and candy. It is made up of the seeds of a cacao bean, sugar and milk so the taste of chocolate is sweet. Recently chocolate is also option for sweets in several religious festivals so it is more popular. Types of chocolates – Chocolates are of three types of chocolates such as white chocolate, milk chocolate, and dark chocolate. White chocolate are sweeter than milk and dark chocolate and is made up of cocoa butter. Dark chocolate has less sweet and made up of 60 to 85 percent of cocoa so it has the strongest chocolate flavor. It decreases the blood pressure and cholesterol. Chocolate is rich in garlic acid and flavonoids which is protective for hearts so it decreases the risk of heart diseases. It is also protective for cancer. It also prevents ageing and several other illnesses. Chocolate strengthens the immune system of the body which is protective for rheumatism. It also benefits for the mental and physical growth of kids. As per scientist, it is helpful in increase psychological activities and makes people active. It is rich in copper and magnesium so it prevents anemia and strengthens the bones. It also prevents the blood clots. 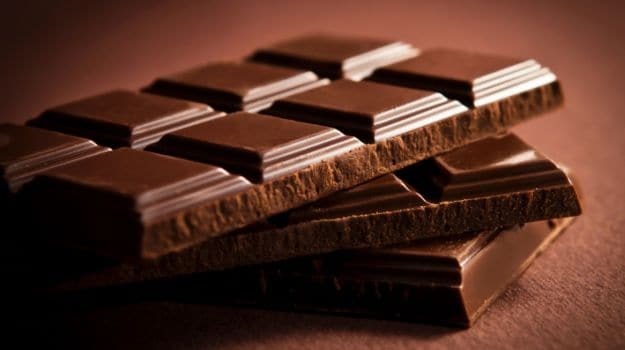 Large amount of intake of chocolate will lead to unwanted weight gain which is the mother of several diseases. Daily consumption of chocolate will harm the teeth. Unnecessary intake of chocolate which contains saturated fat consumption increases the risk of Type 2 diabetes. It has vasoactive amines that cause to migraine problems. Conclusion – Mostly loves chocolates in ice-cream, cake and candy which have a several benefits as discussed but daily consumption large amount of chocolate harmful for our body. Thus intake balanced amount of chocolate daily or in special day but not in large quantity. Previous Post What does WWW stand for? Next Post What are the benefits of drinking water from copper containers? some truly grand work on behalf of the owner of this site, dead great written content.